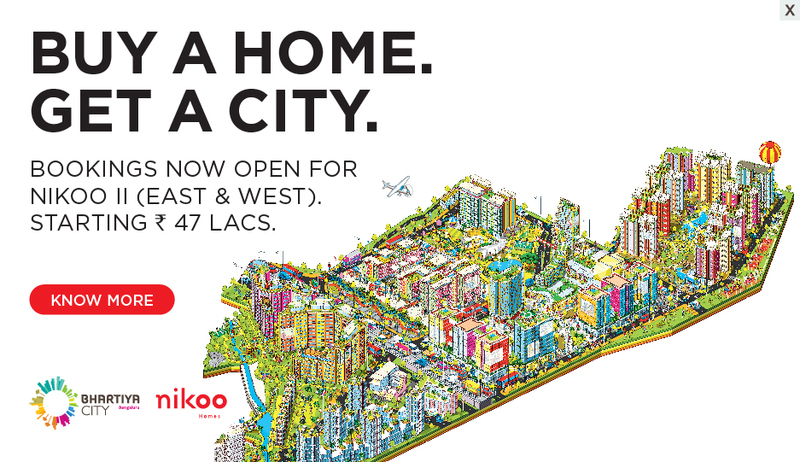 You needn’t be an architecture buff to appreciate the beauty of a standout piece of design. At Bhartiya City we never set out to create one building that stole the show, but there’s only ever three words on the lips of people when asked about the architecture in the city; Performing Arts Centre. Our architects say; “The building is abstract. The two elements we have taken inspiration from are a leaf and a butterfly sitting in a park. We don’t want it to look exactly like either of these things, but an abstract combination of the two, and this is what architects love to do. We wanted something to reflect the moonlight on the roof as Mr. Aggarwal wanted the building to “illuminate the whole city alongside some lighting effects at night.” Built to pay homage to the likes of the Sydney Opera house and The Royal Albert Hall, The Performing Arts Centre will sit at the heart of Central Park and play host to some of the biggest names the art scene has to offer. Until then, here are some of our favourite stand out modern-day architectural feats from around the world. The London Eye, Tower Bridge and 1 Canada Square all dominated the London skyline for years- that was until the completion of the Shard in 2012, just in time for the London Olympics. An impressive 11,000 panes of glass make up the structure which took three years to craft to its current height of 309 metres. The pointing glass structure was designed to appear to be emerging from the murky waters of the River Thames. The design was initially met with contempt as it wasn’t seen to be in keeping with historic London, but the critics were soon silenced with the finished build attracting almost 1 million guests every year. 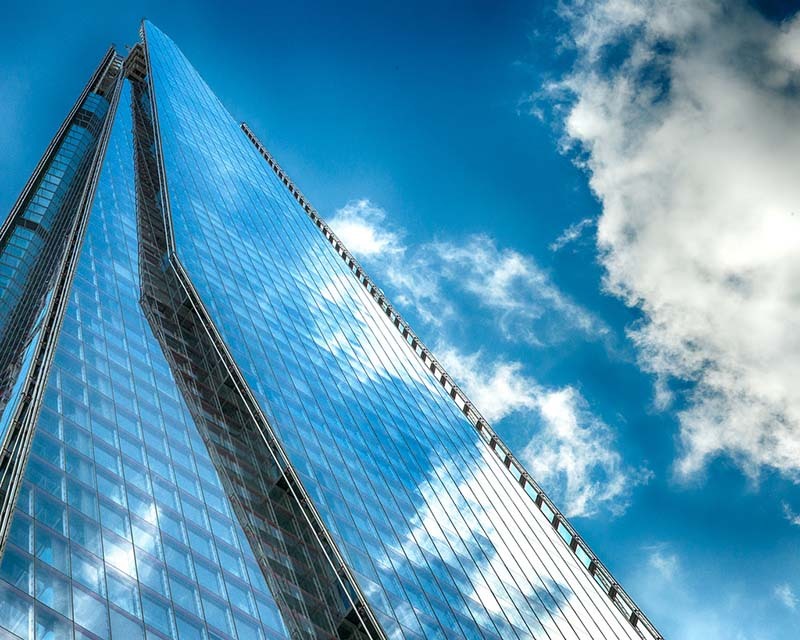 The Shard now serves as a place of work, dining, fine hospitality and also boasts an observation deck on the 72nd floor offering sweeping views of London. This luxury hotel in Dubai is considered both one of the greatest architectural and construction feats of the last 30 years and has gone on to become an icon all over the world. It’s not just the building itself that’s impressive, as before anyone could even begin to think about that, the team of architects needed to create an island offshore capable of supporting such a gargantuan structure- a three-year job in itself. As the third tallest hotel in the world (280 metres), it took 70,000m³ of concrete, 230 forty-metre-long concrete piles and 9,000 tonnes of steel to create. The building was designed to represent the sail of a ship and is connected to mainland by a private bridge. 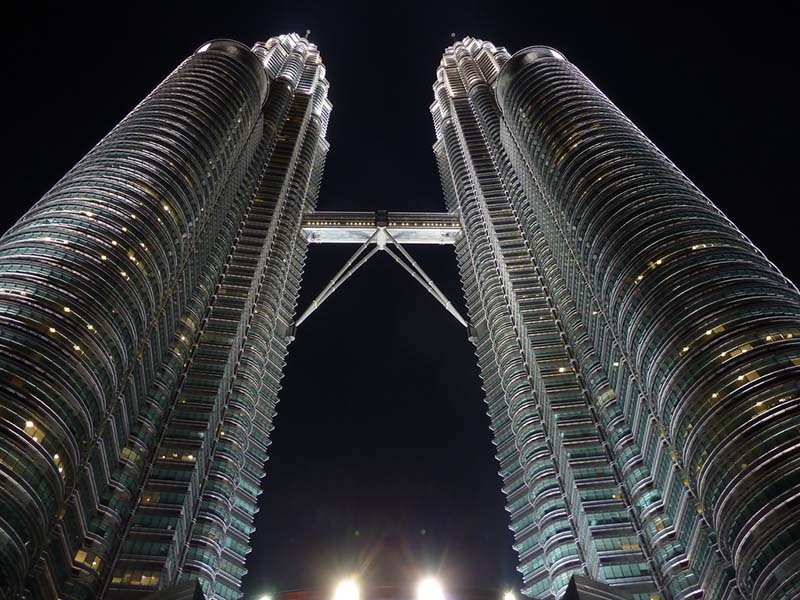 At 452 metres tall, the Petronas Towers dominate Kuala Lumpur’s skyline and are a glistening site of beauty to behold. They once held the coveted title of ‘world’s tallest buildings’ (now a humble 11th &12th) and are still recognised as the world’s tallest twin towers. They became an important symbol for the city and indeed the country, putting Malaysia on the map for tourists in South East Asia. Their design was somewhat nonconformist at their time of conception, but went on to give the city and its skyline a post-modern, futuristic look for the 21st century. After five years of construction, the towers went on to open their doors to the public, offering a sky bridge, retail centre and jogging park. This isn’t your average museum. This is the work of somebody whose imagination can’t be tamed in coordination with an intellectual power that knows no limits. The building itself very fittingly contains modern and contemporary art, but we wonder why you would even need to go inside when the outside looks the way it does. The building’s exterior curves and twists, featuring all manner of materials to create a daring structure that you can only step back and admire, if not for the glow of the metal. Inspired by the shapes and textures of a fish, the building itself resembles a boat when seen from the river and a flower when seen from above. No list of architectural accomplishments would be complete without a fleeting mention of Sydney’s most iconic building, the Opera House. 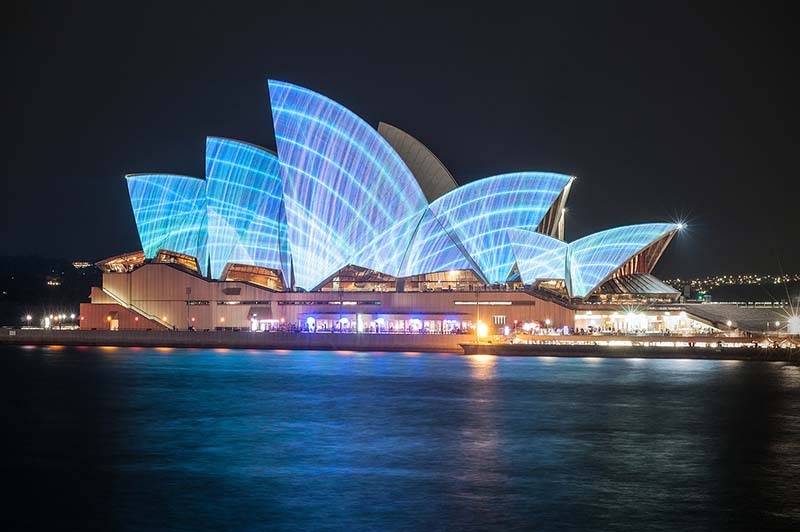 Jorn Utzon, the designer behind the Opera House was cast into the limelight almost overnight as he became the winner of an international design competition in which he unknowingly created what went on to become one of the world’s most recognisable design masterpieces. 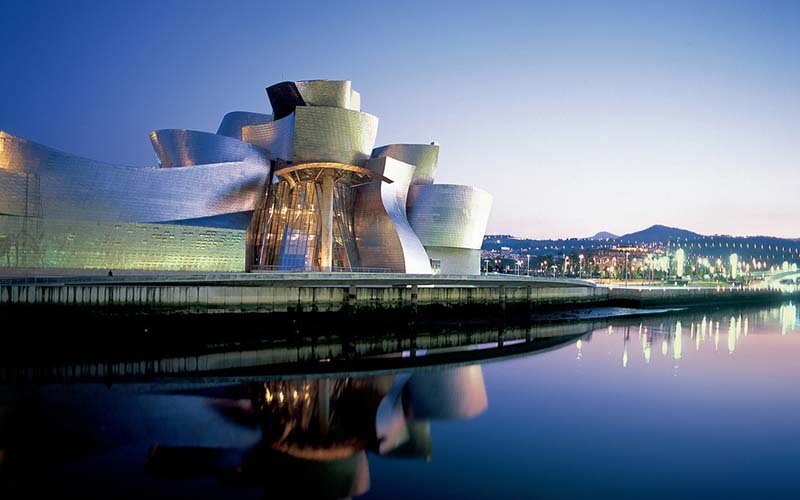 The architectural style is described as expressionist modernism which has a strong focus on the use of innovative materials and abstract form. It was opened by Queen Elizabeth II in 1973 and since then it has hosted some of the most breath-taking performances by some of the world’s most revered faces. This UNESCO World Heritage site is one of the most recognisable buildings in the entire world with the build requiring over 10,000 builders to complete over the course of ten years.